supplies for you to learn how to create a beautiful arrangement. *Packages starting at $40 per person. *We will do our best to accommodate any specific floral requests. A neighborhood girls' night out! 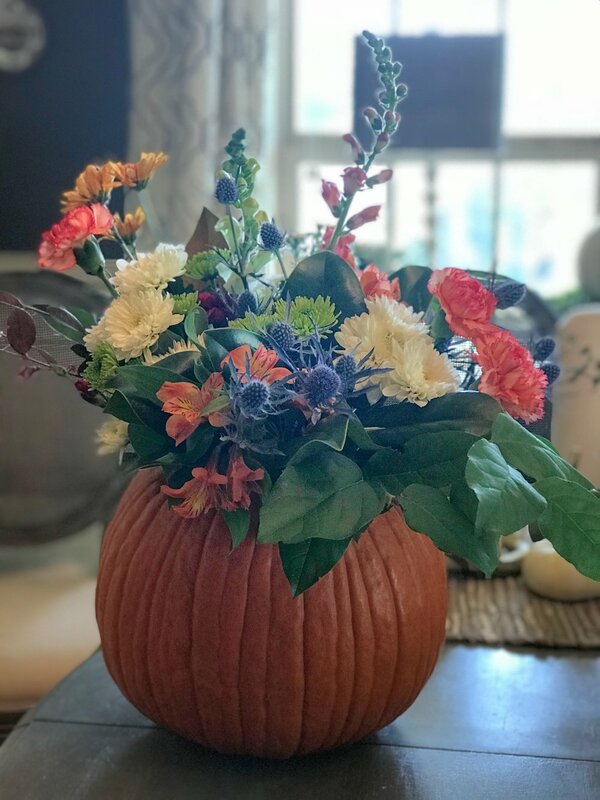 Create a floral centerpiece with us! Our workshops are perfect for all ages. Another great example of a seasonal workshop. You can choose the color scheme. Does your little one have a birthday coming up? We would love to do a flower crown workshop with you! A fun girls’ night out!! 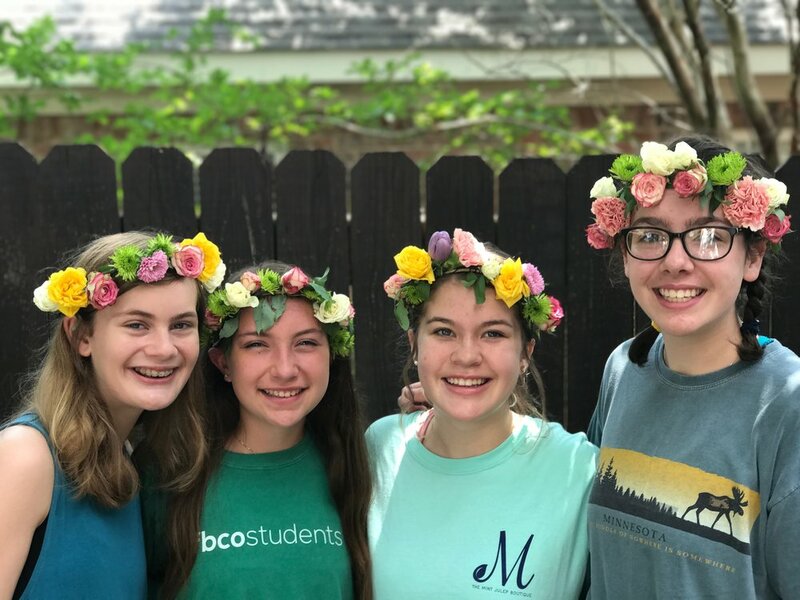 These girls are working hard on some flower crowns! A final result of some flower crowns! 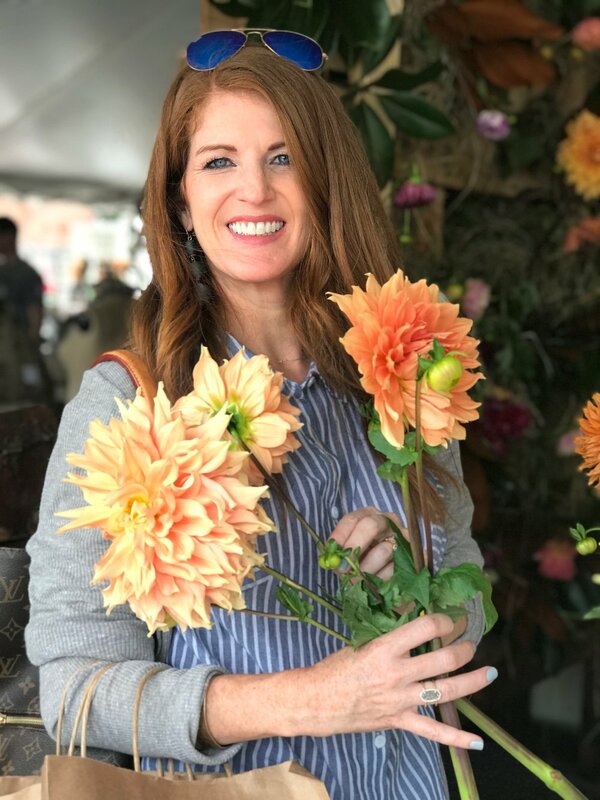 Fall floral workshop with Scarlet & Gold. If you own a small business and are interested in collaborating with us for some floral fun, please fill out the form below! Fill out this form if you are interested in hosting an event with us!